After a year of Beatport, Shazam and touring success, 2015 gets even bigger for producer EDX. He recently announced his new vocal version, ‘Want You (Then I Found You)’ featuring BB Diamond, a tune that ripples between deep house and dance, to be released on Friday, 30 October via HK Records / Ministry Of Sound. 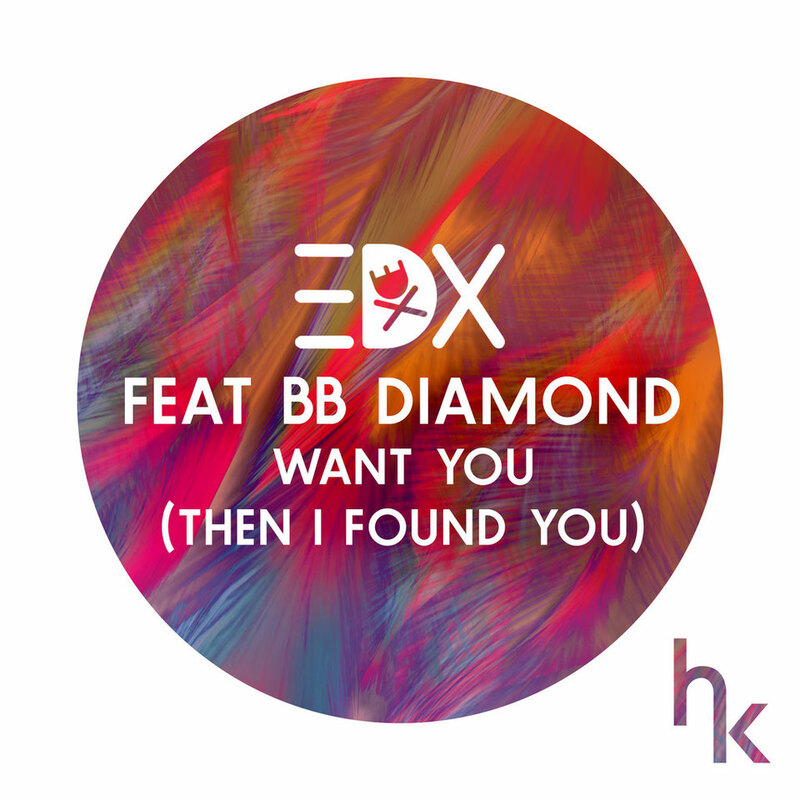 Opening with the vocals from upcoming UK singer–Jess Glynn’s current support act–BB Diamond, EDX folds in a rolling groove and bouncing bassline to complement this latest offering, which now strikes the balance between soulful uptempo love song and punchy club production. EDX had a string of releases in 2015 alone and his discography was dubbed a ‘glimmering trophy case’ by Thump. His remix of Sam Feldt’s ‘Show Me Love’ is still riding high on the Beatport charts, amassing over 47 million Soundcloud streams and is garnering even more support as the #5 most Shazam-ed track of this Ibiza season. His new remix of Robin Schulz ’Sugar’ released in early September is working well too and his new original production ‘Belong’ is apparently an end of summer biggie that's the ideal precursor for this latest track.